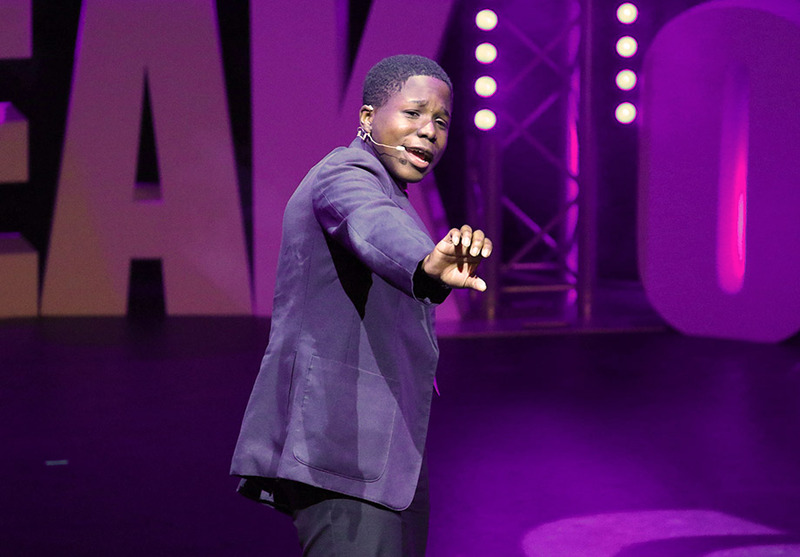 Jack Petchey’s “Speak Out” Challenge! 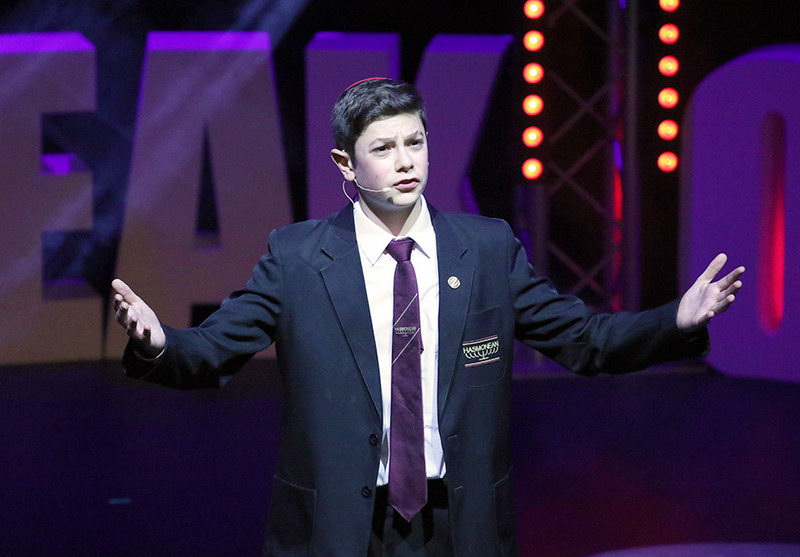 is the largest speaking competition for young people in the world! Designed and delivered by Speakers Trust, and supported and funded by the Jack Petchey Foundation, this programme has become a high profile, well established part of school life across London and Essex. It provides essential tools for young people – of all abilities and from all walks of life – to communicate confidently, effectively and with purpose. 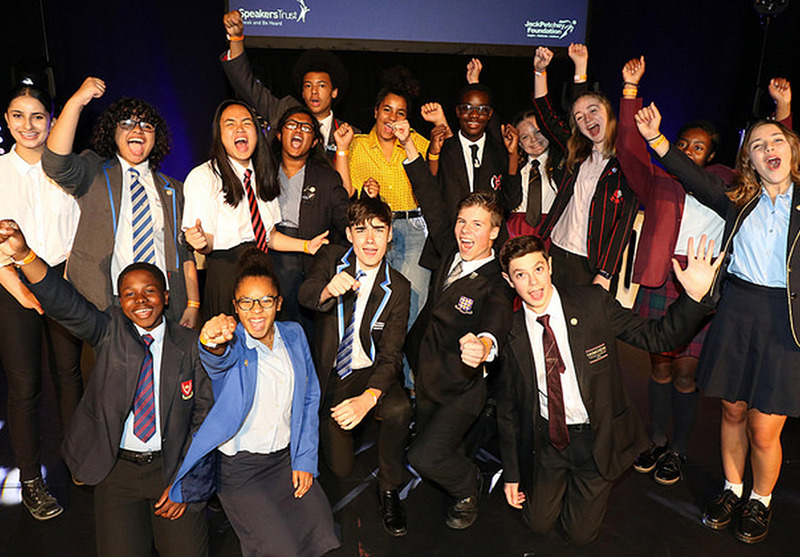 The Jack Petchey Foundation supports and funds this programme so that it can be delivered in every state secondary school in London and Essex. This means a free full-day public speaking workshop for Year 10 students. Speakers Trust’s expert trainers create a safe environment for tailored, interactive and fun learning. Throughout the day structured exercises for individuals and groups provide young people with opportunities to share their views, learn from each other and build critical communications skills. 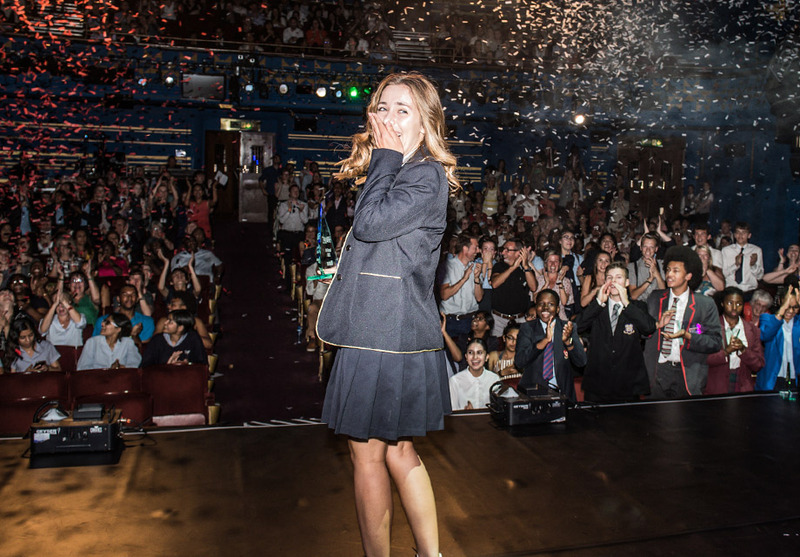 Since its launch in 2006, 180,000 young people have participated in Jack Petchey’s “Speak Out” Challenge! It is now an established and recognised part of the school curriculum in state schools throughout London and Essex. The programme gives young people multiple opportunities to speak out on issues that are important to them. It provides a showcase through school assemblies, Regional Finals and Grand Final events to celebrate young people’s excellence, passion and courage. 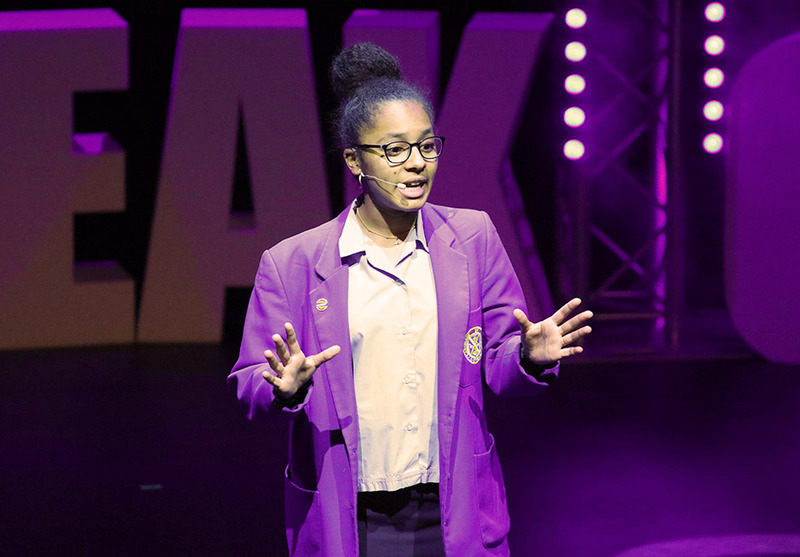 Above all, the programme develops self-belief, raises aspirations and encourages thousands of young people to recognise the power of their voice. Each year, all participants are encouraged to take part in a competition at their school, competing for a place in their local area’s regional final. Speakers from across the local community then come together to compete for a place in the Grand Final in London! 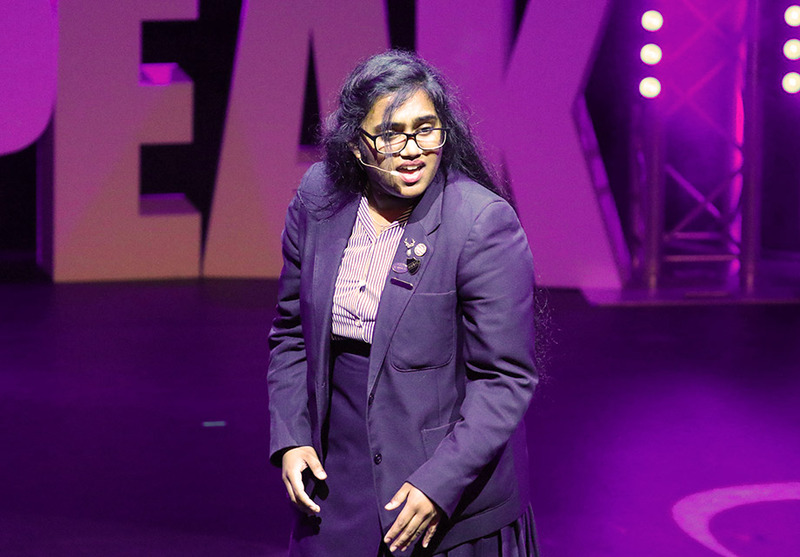 In 2018, 15 speakers were invited to compete in the Grand Final at the fantastic Cambridge Theatre in London’s West End! It’s an incredible event, filled with passion, energy and lots of fun too. 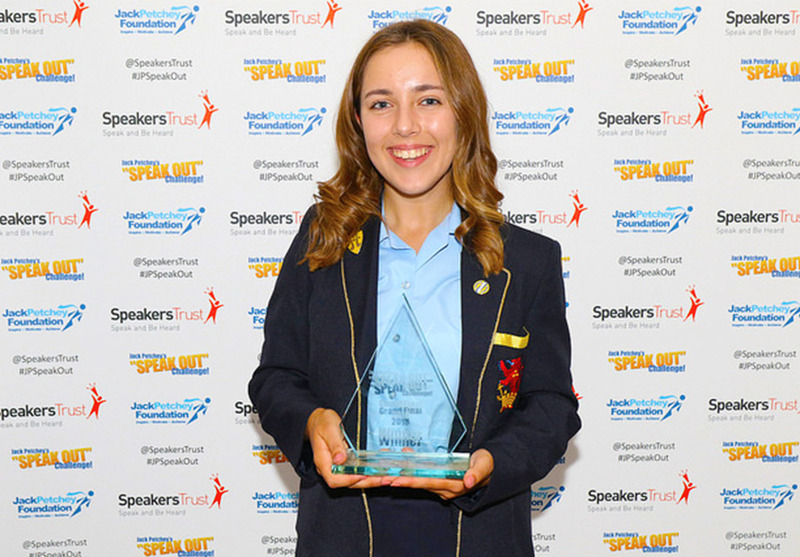 Find out more information on Jack Petchey’s “Speak Out” Challenge!